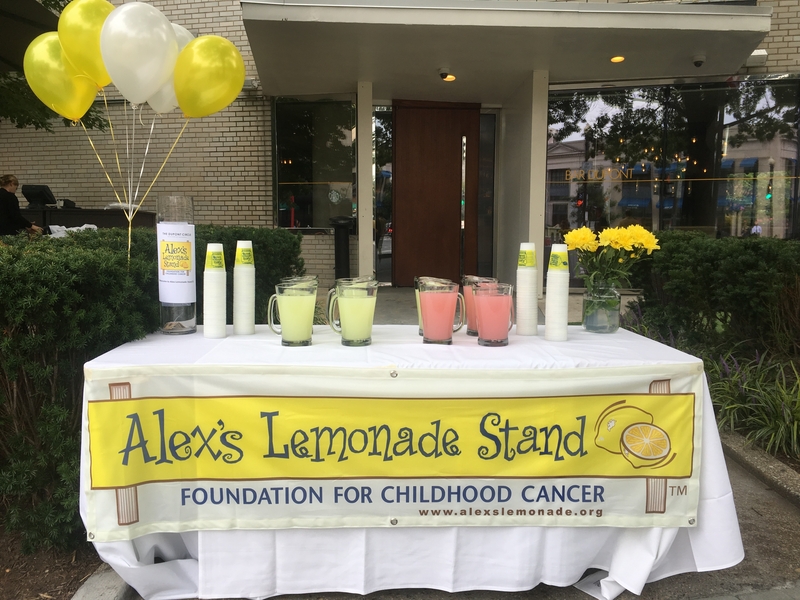 The Dupont Circle Hotel raised $1,000.00 USD for Alex’s Lemonade Stand, a charity supporting to raise money for pediatric cancer. Associates of The Dupont Circle Hotel stood outside the hotel passing out lemonade to local patrons and passerby’s, promoting this cause. The outside event started at 11am and concluded at 4pm; after 4pm, Dupont Bar sold alcoholic “lemonade” drinks with proceeds going towards this charity. In July 2000, in spite of her own failing health, she decided to open a lemonade stand, aided by her older brother, to raise money to help children with cancer. They held an annual “Alex’s Lemonade Stand for Childhood Cancer” on the family’s front lawn. Her first lemonade stand in her hometown of West Hartford, Connecticut, raised over $2,000 and turned into an annual tradition. It continued after the Scott family moved to Wynnewood, Pennsylvania, to pursue treatment at the Children’s Hospital of Philadelphia while she attended Penn Wynne Elementary School. On August 1, 2004, Scott died at the age of eight.